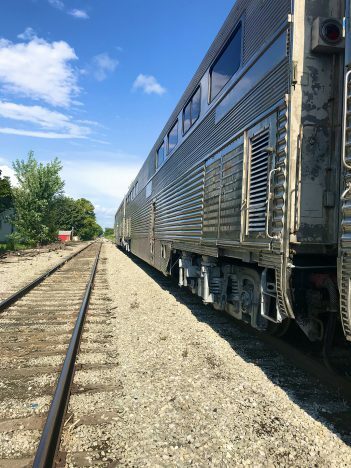 Nickel Plate Express will open its train cars Sept. 15 from a station in downtown Atlanta and will travel south to Noblesville at 216th Street in the northern part of the city. It’s been more than two years since the Nickel Plate tracks have been used after the owner, the Hoosier Heritage Port Authority, banned the former operator, the Indiana Transportation Museum, from running trains on the tracks. In March, the HHPA and Nickel Plate Heritage Railroad entered a 15-year tourism and excursion programming agreement. Through Fishers and Noblesville, the HHPA is working to design and build the Nickel Plate Trail, which would remove the tracks and replace it with a pedestrian walking and biking path. Under the umbrella organization of the Nickel Plate Heritage Railroad, the Nickel Plate Express nonprofit has been working over the summer to repair and rehabilitate tracks along the 12 miles of railroad it operates. “Originally, we weren’t going to go all the way to 216th Street in 2018. 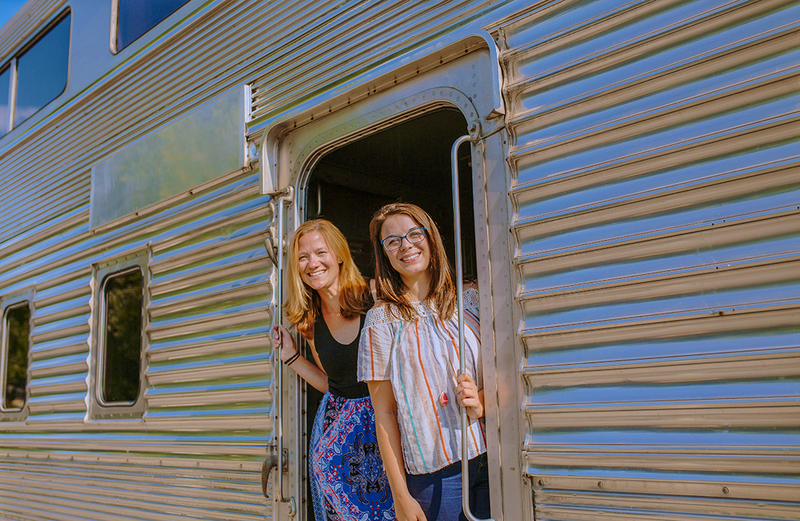 It was just going to be Atlanta to Arcadia, but we had the money to extend it, and I think obviously the people of Noblesville really want a train here,” said Dagny Zupin, communications coordinator for Nickel Plate Express. Plans are moving forward to extend tracks to downtown Noblesville in 2019. “There are just a lot of moving parts and a lot of people that we have to consult with to do that, but there’s a definite interest,” she said. At the moment, there is nothing at the 216th Street stopping point and railroad intersection. The end goal is to run the Nickel Plate Express from Tipton in the north to downtown Noblesville in the south. Under the current operation schedule, passengers will take the 12-mile ride at approximately 10 mph, which will make for a one hour and 15 minute-trip. Atlanta Pacific Rail, also under the Nickel Plate Heritage Railroad organization, will oversee the day-to-day technical operations of the trains and railroad. For its inaugural trip, Nickel Plate Express is focusing on education. In October, Nickel Plate Express will partner with the Hamilton Heights FFA to round out its Pumpkin Express excursion. Also in October, Nickel Plate Express will operate a Ghost Train in the evenings. “We’re having a storyteller create a ghost story that will be specific to Hamilton County and based on local lore,” Zupin said. Zupin also said the organization is partnering with the Roads Hotel in Atlanta, believed to be haunted, for those events. In mid-November, Nickel Plate Express will steam into the holiday season with the Reindeer Ride, where kids can ride the train with Santa and more. Uncorked Express will serve as the organization’s wine-tasting train, and Ales & Rails will give riders a chance to sample local brews. Zupin said excursion dates haven’t been set but that they would be scheduled sporadically in the fall and in the evenings. All excursions will take place on Saturdays and Sundays and occasionally on Fridays. To learn more, visit nickelplateexpress.com/schedule. The Nickel Plate Heritage Railroad organization also includes the Arcadia Depot, which is the 150-year-old train depot in Arcadia. The makeover is being made possible by an Indiana Humanities Grant, which awarded the organization $4,000. I’m shocked no one is commenting on this article.